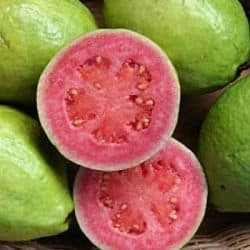 Gouyave – as you can imagine is named after it’s guava fruit trees. The French changed the name of the town from Charlotte Town (named after Britain’s Queen Charlotte) many years ago. The town is one of the biggest fishing towns in Grenada. It’s also known across the island as an entertainment town and is the venue for the weekly ‘Fish Friday’. This fun event is held every Friday evening when it’s possible to sample the fishy dishes and entertainment that the town lays on for locals and tourists alike. Gouyave also celebrates Fishermans’ birthday on an annual basis on June 29th with a musical carnival atmosphere and more seafood than you can imagine! The fish caught off the coast at Gouyave are plentiful and varied. Tuna, swordfish, mahi mahi, snapper, marlin and flying fish are hauled in every day and available at any one of the eateries in the town for a good price. A good lunch prepared with local seasoning, cooked in a variety of ways and can be enjoyed for as little as $5 USD or less. Located on the west coast of the island, the streets are narrow and you’ll most likely find yourself going around the one way system when looking for somewhere to park for Fish Friday. Alternatively a taxi from the hotel won’t cost much or there is a car park in the centre of the town that charges just a few dollars for the evening. Towards the south of the town there is the Dougaldston Estate, which was originally one of the largest plantations on the ‘spice isle’ when it came to cocoa and bananas. The estate is open for tourist visits and you will find several photo opportunities here. Another attraction close to Gouyave is the nutmeg pool. For many years, this nutmeg processing plant was the largest building on the island. During a visit you will learn more about the preparation process that takes place before shipping the flavoursome spice all over the world. Gouyave is definitely worth a visit if you want to see and experience a fun and lively town with a choice of bars. If you have a penchant for fish – then you won’t go hungry here!